En este artículo me propongo discutir si la propiedad de la recursión supone una buena explicación de la especificidad humana. Para ello, analizaré dos aproximaciones al estudio del lenguaje humano: las concepciones computacional y antropológica. La principal conclusión de este trabajo es doble. Por un lado, la recursión no es una buena explicación de la esencia humana. Por otro, lo que sí es específicamente humano es la construcción de una mitología, análoga a la metafísica, revestida en este caso con el lenguaje de la ciencia. Licenciado en Psicología por la Universidad Autónoma de Madrid. Máster en Crítica y argumentación Filosófica por esa misma Universidad, donde también he obtenido el título de Doctor en Psicología, con una tesis sobre el papel de la recursión en la ciencia cognitiva del lenguaje, llevando a cabo tanto una investigación formal como experimental. Bertot, Y. & Komendantskaya, E. (2009). Using structural recursion for corecursion. In Types for Proofs and Programs, International Conference, TYPES 2008, Vol. 5497, 220-236. Berwick, R., Friederici, A.D., Chomsky, N. & Bolhuis, J. (2013). Evolution, brain, and the nature of language, Trends in Cognitive Science, 17, 89-98. Boolos, G., Burgess, J. y Jeffrey, R. (2007). Computability and logic. Cambridge, UK: Cambridge University Press. Bouwsma, O.K. (1986). Wittgenstein: Conversations 1949-1951. Edited by J.L. Craft and R.E. Hustwit. Indianapolis, Ind. : Hackett Publishing [Spanish edition (2004): Últimas conversaciones, trad. Miguel Ánguel Quintana Paz. Salamanca: España]. Cain, M. (2005). Confronting philosophical objections to Chomskyan linguistics, European Journal of Analytic Philosophy, 1, 5-24. Chomsky, N. (1955/1975). The logical structure of syntactic theory. New York: Plenum Press. Chomsky, N. (1959). On certain formal properties of grammars. Information and Control, 2, 137-167. Chomsky, N. (1995). The minimalist program. Cambridge. MA: MIT Press. Chomsky, N. (2005). Three factors in language design, Linguistic Inquiry, 36, 1-22. Chomsky, N. (2007a). Of minds and language, Biolinguistics, 1, 9-27. Chomsky, N. (2007b). Approaching UG from below. In U. Sauerland & H. M. Gärtner (eds. ), Interfaces + Recursion = Language? (pp. 1-30). Berlin: Mouton. Chomsky, N. (2008). On phases. In R. Freidin, C. Otero, & M. L. Zubizarreta (Eds. ), Foundational issues in linguistic theory (pp. 133-166). Cambridge. MA: MIT Press. Chomsky, N. (2014). Minimal recursion: exploring the prospects. In T. Roeper & M. Speas (Eds. ), Recursion: Complexity in Cognition (pp. 1-15). Heidelberg/New York/Dordrecht/London: Springer. Chomsky, N. (2015). Some core contested concepts, Journal of Psycholinguistic research, 44, 91-104. Cutland, N. (1980). Computability: an introduction to recursive function theory. Cambridge: Cambridge University Press. Enderton, H. (2009). A mathematical introduction to logic. San Diego, CA. : Harcourt Academic Press. Ferreirós, J. (2006). Introducción a G. Cantor, Fundamentos para una teoría general de conjuntos. Barcelona: Crítica. Fodor, J.A. (1984). El lenguaje del pensamiento. Madrid: Alianza. Fodor, J.A. (2008). LOT 2. The language of thought revisited. Oxford: Oxford University Press. Frath, P. (2014). There is no recursion in language. In F. Lowenthal & F. Lefebvre (eds. ), Language and recursion (pp. 181-191). New York: Springer. Gödel, K. (1931). On formally undecidable propositions of the Principia Mathematica and related systems. I. Reprinted in M. Davis (2004) (ed. ), The undecidable (pp. 4-38). New York: Raven Press. Gödel, K. (1964). Postscriptum to Gödel 1931. In M. Davis (Ed. ), The undecidable(pp. 71-73). New York: Raven Press. Hacker, P. M. S. (1986). Insight and illusion. Themes in the philosophy of Wittgenstein. Oxford: Clarendon Press. Hacker, P. M. S. (2007). The relevance of Wittgenstein’s Philosophy of Psychology to the Psychological Sciences. Proceedings of the Leipzig Conference on Wittgenstein and Science. Hacker, P. M. S. (2010). A normative conception of necessity: Wittgenstein on necessary truths of logic, mathematics and metaphysics. In V. Munz, K. Puhl, and J. Wang (eds. ), Language and the World, Part One: Essays on the Philosophy of Wittgenstein, Proceedings of the 32nd International Ludwig Wittgenstein Symposium in Kirchberg, 2009 (pp. 13-34). Frankfurt: Ontos Verlag. Hacker, P. M. S. (2014) Two conceptions of language, Erkenntnis, 79, pp. 1271-1288. Hauser, M., Chomsky, N. & Fitch, T. (2002). The faculty of language: What is, who has it, and how did it evolve?, Science, 298, 1569-1579. Hrbacek, K. & Jech, T. (1999). Introduction to Set Theory, New York: Marcel Dekker, Inc.
Kenny, A. (1989). El legado de Wittgenstein. Madrid: Siglo XXI. Kleene, S. C. (1943). Recursive predicates and quantifiers, Transactions of the American Mathematical Society, 53, 41-73. Kleene, S. C. (1952). Introduction to metamathematics. Amsterdam: North-Holland Publishing. Luuk, E. & Luuk, H. (2011). The redundancy of recursion and infinity for natural language, Cognitive Processing, 12, 1-11. Mac Lane, S. (1986). Mathematics. Form and function. New York: Springer-Verlag. McGinn, M. (2009). Wittgenstein and internal relations, European Journal of Philosophy, 18, pp. 495-509. Moschovakis, Y. & Paschalis, V. (2008). Elementary algorithms and their implementations. In S.B. Cooper, B. Löwe, & A. Sorbi (Eds. ), New computational paradigms (pp. 87-118). Berlin: Springer. Moschovakis, Y. (1998). On founding the theory of algorithms. In H.G. Dales, & G. Oliveri (Eds. ), Truth in mathematics (pp. 71-104). Oxford, UK: Oxford University Press. Moschovakis, Y. (2009). What is an algorithm? in B. Engquist & W. Schmid (Eds. ), Mathematics Unlimited: 2009 and Beyond (pp. 919-936). Berlin: Springer. Mosterín, J. (2007). Los lógicos. Madrid: Austral. Mota, S. (2015a). Sobre el concepto de recursión y sus usos, Praxis Filosófica, 40, 153-181. Mota, S. (2015b). ¿Por qué se usa ‘recursión’ cuando se quiere significar ‘autoinclusión’? : Clarificaciones conceptuales sobre la recursión en el programa chomskiano, Revista de Lingüística Teórica y Aplicada, 53, 171-191. Mota, S. (2015c). ¿Qué es un algoritmo? Una respuesta desde la obra de Wittgenstein, ÉNDOXA. Series Filosóficas, 36, 317-328. Mota, S. (2015d). Wittgenstein en torno a los conceptos, Análisis. Revista de Investigación Filosófica, 2, 195-219. Odifreddi, P. (2011). Recursive functions: an archeological look. In S.B. Cooper, &, A. Sorbi (Eds. ), Computability in context. Computation and logic in the real world (pp. 329-349). London: Imperial College Press. Post, E. (1944). Recursively enumerable sets of positive integers and their decision problems. Reprinted in M. Davis (2004) (ed. ), The undecidable (pp. 305-337). New York: Raven Press. Reguera, I. (1992). Introducción a L. Wittgenstein, Lecciones y conversaciones sobre estética, psicología y creencia religiosa. Barcelona: Paidós. Rhees, R. (2005). Wittgenstein’s On Certainty. There –like our life. Oxford: Blackwell Publishing. Shanker, S.G. (1987). Wittgenstein versus Turing on nature of Church’s thesis, Notre Dame Journal of Formal Logic, 28, 615-649. Soare, R. (1996). Computability and recursion, The Bulletin of Symbolic Logic, 2, 284-321. Soare, R. (2012). Interacting computing and relativized computability. In B.J Copeland, C.J. Posy, & O. Shagrir (Eds. ), Computability. Turing, Gödel, Church, and Beyond (pp. 203-260). Cambridge, MA. : The MIT Press. Tomasini, A. (2003). 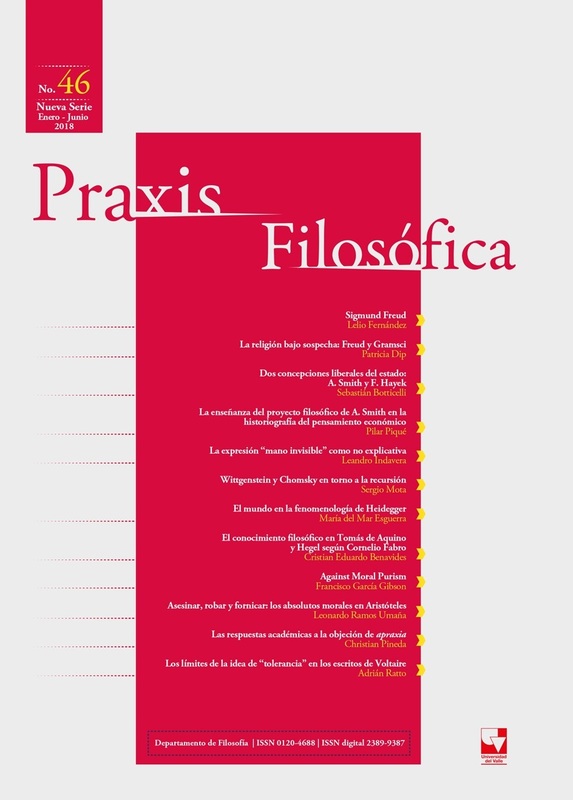 Estudios sobre las filosofías de Wittgenstein. México, D.F. : Plaza y Valdés. Torretti, R. (1998). El paraíso de Cantor. La tradición conjuntista en la filosofía matemática. Santiago de Chile: Editorial Universitaria. Turing, A. (1936). On computable numbers, with an application to the Entscheidungsproblem. Reprinted in M. Davis (2004) (ed. ), The undecidable(pp. 116-151). New York: Raven Press. Wirth, N. (1986). Algorithms and data structures. Hemel Hempstead, UK: Prentice Hall. Wittgenstein, L. (1922). Tractatus logico-philosophicus. London: Routledge. Wittgenstein, L. (1974). Philosophical grammar. Oxford: Blackwell. Wittgenstein, L. (1975). Philosophical remarks. Oxford: Blackwell. Wittgenstein, L. (1978). Remarks on the foundations of mathematics. Oxford: Blackwell. Wittgenstein, L. (2005). The big typescript: TS213. Oxford: Wiley-Blackwell. Wittgenstein, L. (2009). Los cuadernos azul y marrón. Madrid: Tecnos.